Make the most of lazy summer afternoons, lounging around in the garden on our hanging egg shaped rattan swing chair. Featuring an airy open weave rattan design in a chic light grey shade, the chair is supported by a strong grey steel frame. 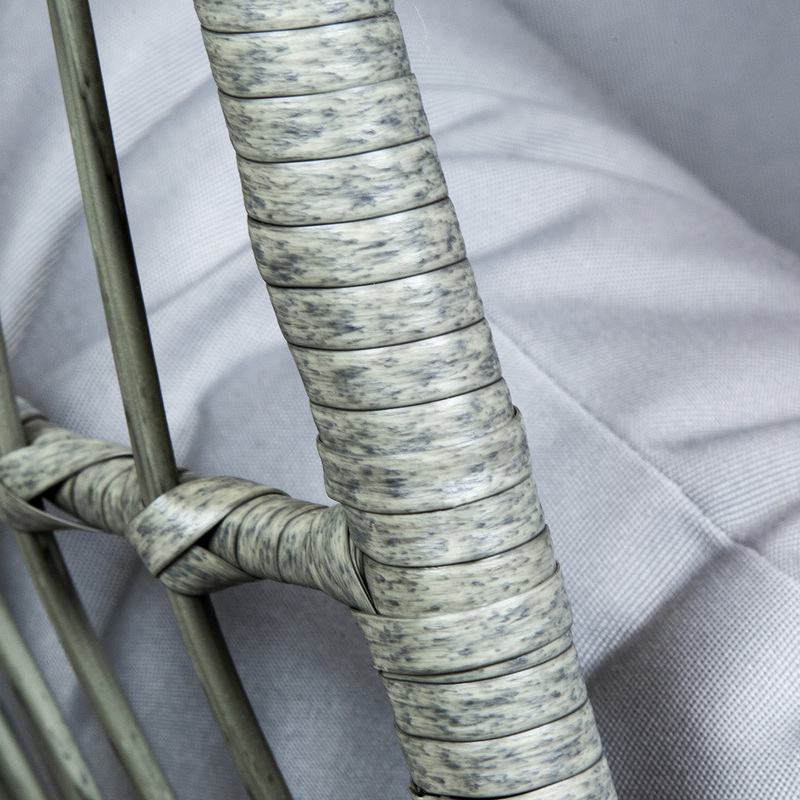 For extra comfort and support, the chair is fitted with a thick, padded grey seat cushion. 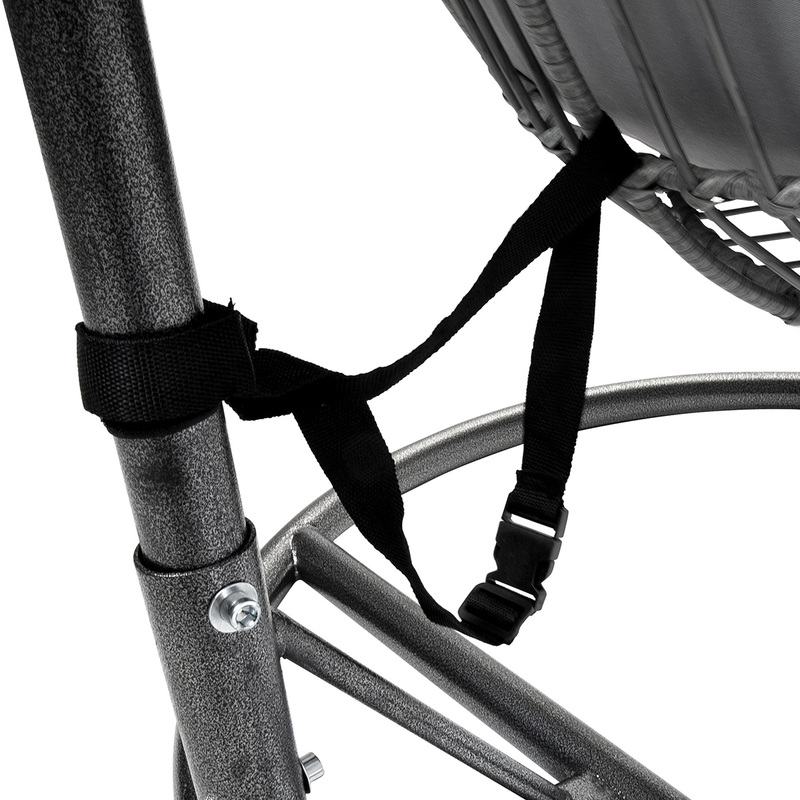 Easy to maintain, the chair is showerproof so you dont have to worry about leaving it outside all year round. 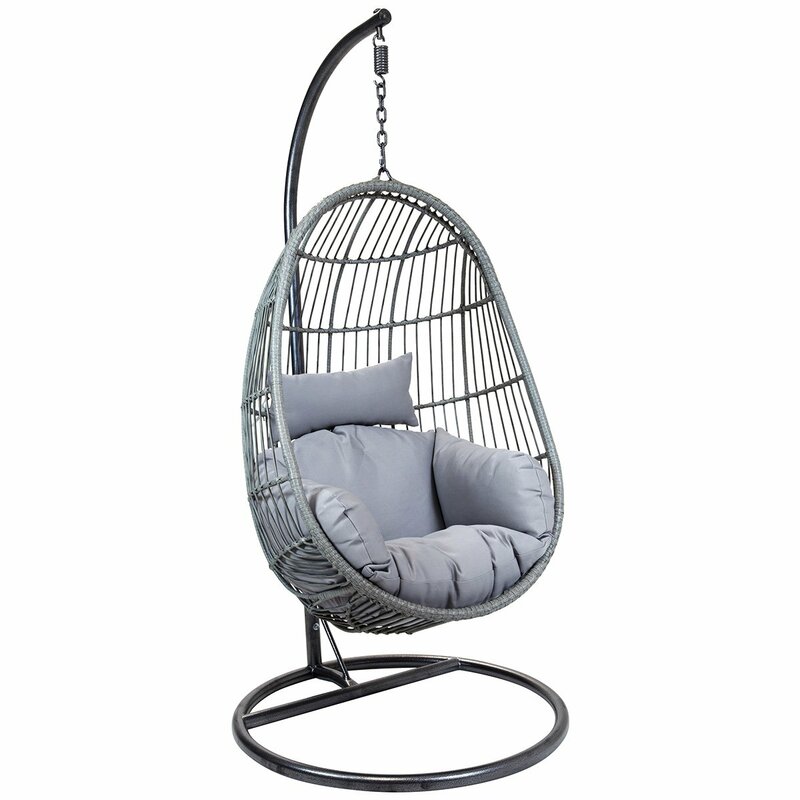 This attractive rattan swing chair will add a stylish focal point to any outdoor living space. Please Note: Please cover during the winter months to ensure its longevity. 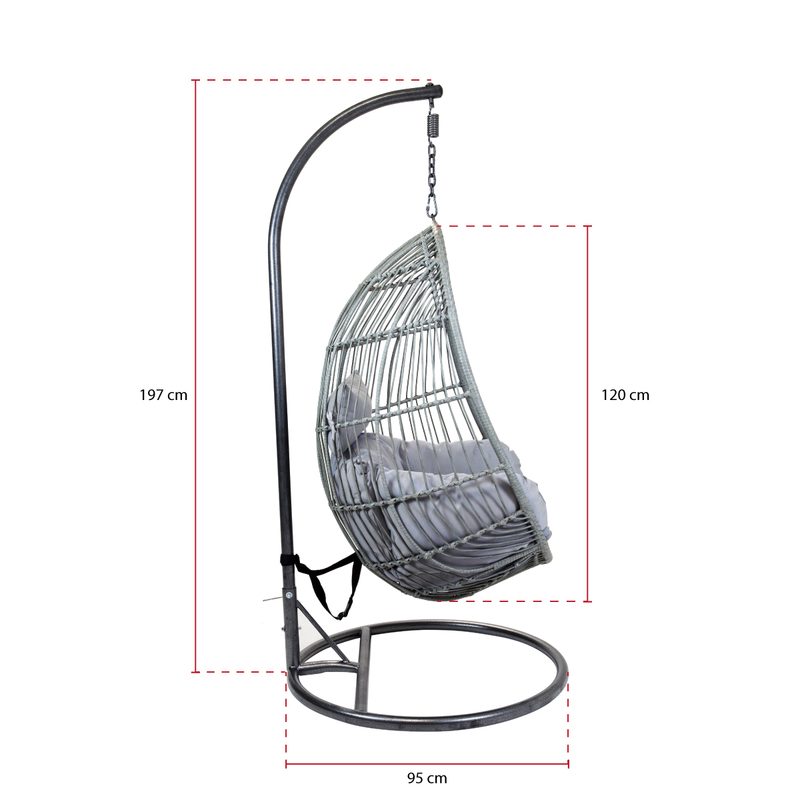 We have a rattan swing seat cover available to purchase separately. 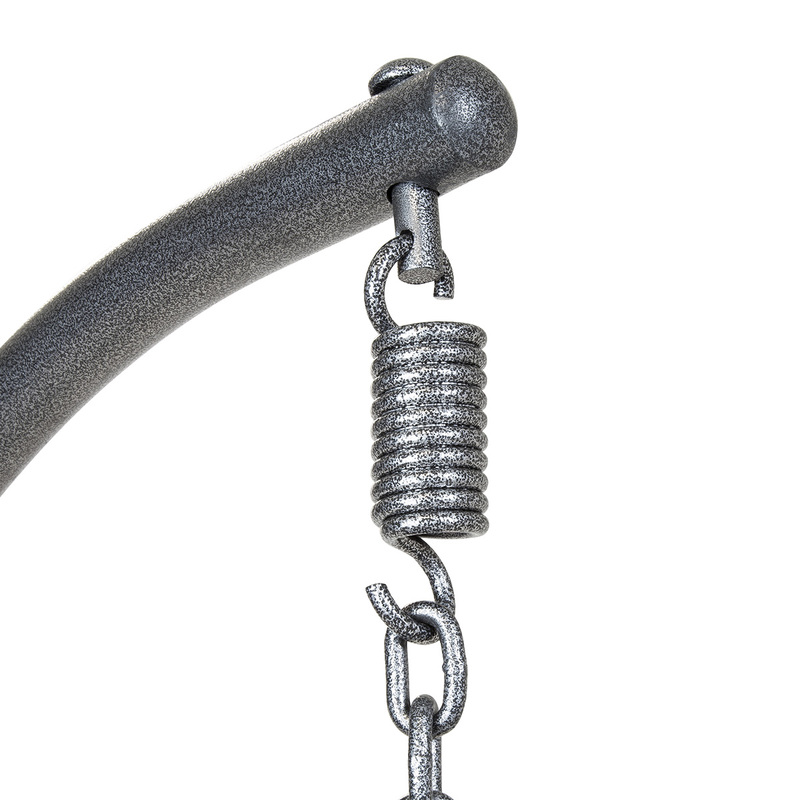 This swing is designed for ONE person only. We cannot accept liability for bending poles if more than ONE person sits in the chair at one time. Cushion: Store cushion inside when not in use and cover during winter. Sponge clean only.